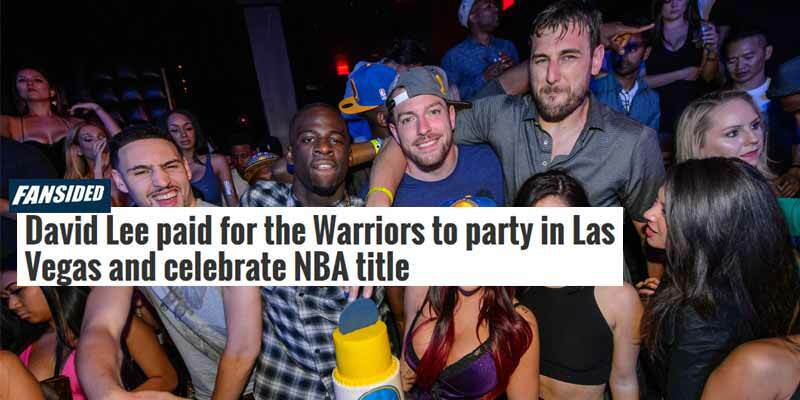 Even as a lower-paid bench player, there’s nothing wrong with taking your team out for a few nights in Vegas to celebrate the end of a 40-year championship drought. What’s interesting abou tDavid Lee doing that with the Warriors in 2015 is that he had already been traded to the Boston Celtics and wasn’t really part of the team anymore. It’s unknown how much the whole thing cost him, but if the Heat and Mavericks ran up bar tabs north of 100k for one night of partying, the multi-night bender probably cost quite a bit more. A lot of players take being traded personally, so hats off to Lee for putting his ego aside.